Showing results for tags 'rf-7 ii'. Which surround back speakers to get for RF-7 II 7.1 system? Hey everyone. I just upgraded to my first Reference line of speakers and am wondering what speakers to get for the rear surrounds to upgrade it from a 5.1 to a 7.1 system. My current set-up is a pair of RF-7 II's, RC-64 II's, and a pair of RS-62 II's. From what I could gather, likely matches would be to get either a pair of RB-61 II, RB-81 II, or a second set of RS-62 II's. Of course I started my set-up right about the time these things are no longer being produced, so I'd like to pick them up before they become hard to find. Any advice on which speakers to get would be greatly appreciated. 90% of time I feel my RX-A3060 is a fine performer on daily tasks. Unfortunately, the other 10% of the time when I want some more extreme forms of music at volume much louder volume, I feel like it's missing the magic was contained in first Yamaha from the 90s. It's really hard to quantify without using flowery and poetic language. My current setup is as follows. Yamaha RX-A3060 2 Klipsch RF-7 II 1 Klipsch RC-64 II 2 Klipsch RP-250S 2 SVS PC-2000 It looks like the Emotiva XPA Gen3 might be a good match but it only has one professional review that I could find. I've also looked at the Anthem A2 even though it costs more. Does anyone here already have one of these amps paired with the RX-A3060? Are there any others that should be at the top of my list? 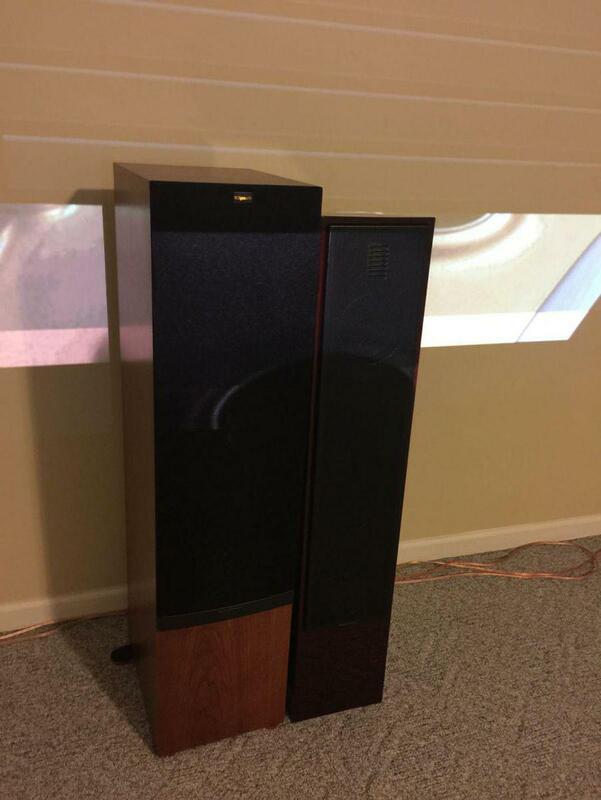 Klipsch RF-7 II Top of the line Speaker Black $1100 for the pair http://www.acousticsounddesign.com/ I paid $1780.00 for the pair in February of 2013 (I have the receipt) 15 months old B Stock from Acoustic Sound Design Las Vegas/Authorized Retailer B Stock = a couple cosmetic marks - all Speaker Drivers are First Quality ....come up to Lino Lakes an have a Listen...send a text ....they are priced to sell!.....I am down sizing...they must go Contact: Larry: 612-695-2886 http://minneapolis.craigslist.org/ank/ele/4477796014.html No affiliation. No photos were provided.